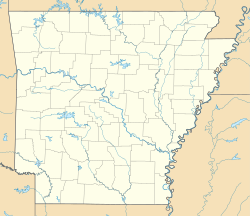 Prairie Township is one of fifteen current townships in Searcy County, Arkansas, USA. As of the 2010 census, its total population was 550. According to the United States Census Bureau, Prairie Township covers an area of 39.811 square miles (103.11 km2); 39.793 square miles (103.06 km2) of land and 0.018 square miles (0.047 km2) of water. ^ "Prairie Township, Searcy County, Arkansas." U.S. Census Bureau. Breakdown. Retrieved June 8, 2012. This page was last edited on 30 March 2018, at 09:00 (UTC).